Production company:- Nadiadwala Grandson Ent. 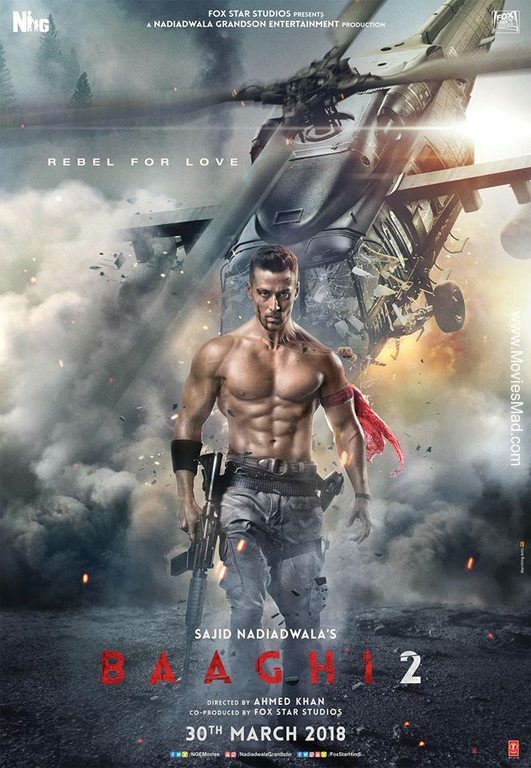 Baaghi 2 is an Upcoming Bollywood Movie in 2018, It is Action Film and Tiger Shroff, Disha Patani in lead roles. This film is Directed by Ahmed Khan and Produced by Sajid Nadiadwala. It is made under the banner of Nadiadwala Grandson Entertainment. 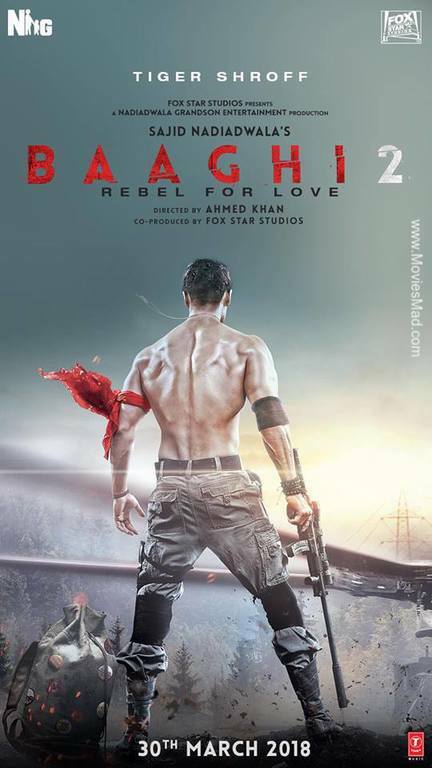 Baaghi 2 is scheduled to release on 30 March 2018. Explain that producer Sajid Nadiadwala has named the alleged girlfriends of Tiger as heroines in their film. A poster was released in which direction Patni could be seen with Tiger. Tiger appeared in the poster before, only the back of the tiger was seen. 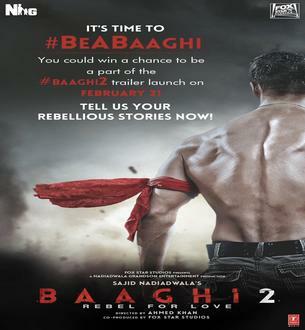 The face is not visible, but by the back itself, it seems that their appearance in 'Baghi 2' has changed.